This week, in Bereshit 37:3, we read about Yosef and his ketonet passim כתונת פסים. We've already discussed how ketonet means "coat" (and is related to tunic). But what does the additional word passim mean? It appears only here, and in Shmuel II 13:18 in the phrase ketonet passim, so we can't guess based on other contexts. Perhaps influenced by the play Joseph and the Amazing Technicolor Dreamcoat, most English speakers probably assume that it was "coat of many colors". Israelis, on the other hand, would probably say "striped coat", since passim means "stripes" (among other similar words, like track and strip). Who's right? Radak took passim to mean "striped". The Septuagint and Vulgate rendered the Hebrew "a robe of many colors". In 2 Samuel 13:18-19 the garment is mentioned as the distinctive dress of virgin daughters of royalty. 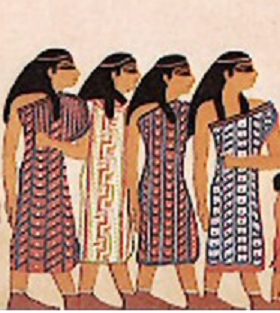 Josephus describes it as "a long-sleeved tunic reaching to the ankle." In Aramaic and rabbinic Hebrew pas means the palm of the hand and the sole of the foot. The word passim can be translated as 'colorful' (Radak; Septuagint), embroidered (Ibn Ezra; Bachya; Ramban on Exodus 28:2), striped (Ibn Janach; Radak, Sherashim), or with pictures (Targum Yonathan). It can also denote a long garment, coming down to the palms of the hands (Rashbam; Ibn Ezra; Baaley Tosafoth; Bereshith Rabbah 84), and the feet (Lekach Tov). Alternatively, the word denotes the material out of which the coat was made, which was fine wool (Rashi) or silk (Ibn Janach). Jacob gave Joseph such a royal garment, one that was unsuitable for shepherds, because Joseph was exempted from work. The length of one’s clothing is a sign of liberation and prominence, [indicating] that one does not have to do manual work. Klein , although saying the phrase probably means "tunic composed of variegated stripes", notes that according to most commentators it means "tunic reaching to the palms and the soles". He connects both pas meaning "stripe, strip" and the Aramaic pas meaning "palm of the hand" (Daniel 5:5) to the root פסס - "to be broad, spread". This root also gives us פיסה pisa, which in Talmudic Hebrew also meant "stripe, strip" but by Medieval Hebrew took on the current meaning of "piece", and perhaps payis פיס - "lot", as well. While Klein (and earlier Jastrow ) indicate that the meaning "strip, stripe" goes back to Talmudic times, Tur-Sinai (in a note in Ben Yehuda's dictionary) says that this sense is not found in those sources at all. He feels that this meaning came from foreign influence, via the Slavic "pas" (like in Polish), which made its way into Yiddish, and from there to Hebrew. Klein writes that kipod derives from the root קפד and "literally means that which rolls itself together". 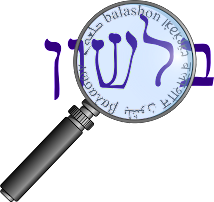 The root קפד developed from "be drawn together" to "be angry" and "be strict", and from here we have the common verb הקפיד hikpid - "was strict, was pedantic". 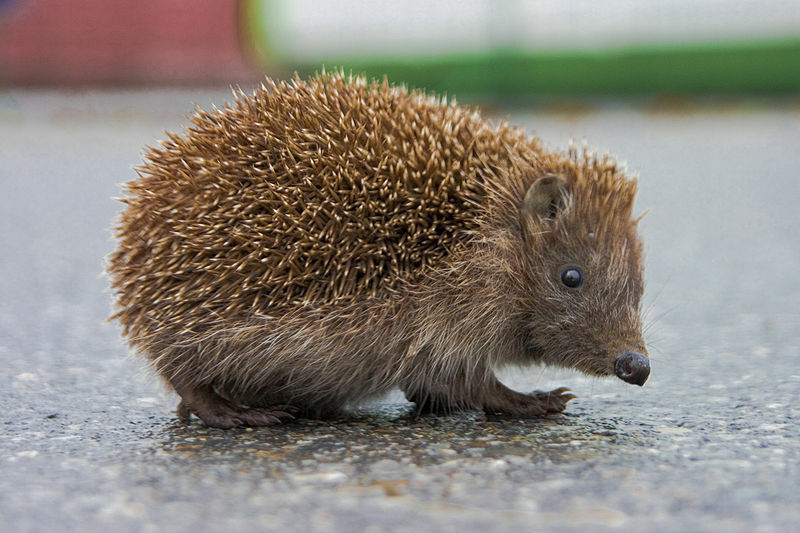 The porcupine and hedgehog are clearly different animals - both in size, shape and biological classification. How much of a mistake did I make by mixing up the names? According to a fascinating article by Prof. David Talshir (Leshonenu 70), I wasn't the first to think a porcupine was a kipod. However, since no separate identification is given to the porcupine, it is likely that in some of the cases in the Talmud, the kipod / kupad referred to porcupines instead of hedgehogs (for example Kilayim 8:5, and the commentary Malechet Shlomo). Many languages in the area used the same word for both. Rashi's almost absolute identification of the kipod with the hedgehog (excluding the two mentions in Yeshayahu 34, where he understandably identifies it with a bird) must be viewed in light of the fact that there were no porcupines in Europe in his time - only hedgehogs (this is my observation, not Talshir's). From Rashi's time until the beginning of Modern Hebrew, there were a number of attempts to give different names in Hebrew to both the hedgehog and porcupine. When in 1862, Mendele Mocher Sforim concurred with Rashi, and called the hedgehog a kipod (over the alternative anaka), the name stuck permanently. 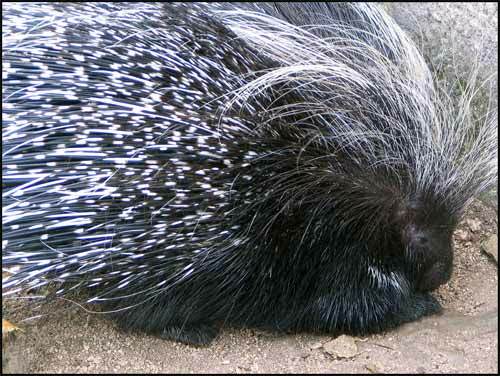 However, the final name for porcupine, dorban, was only coined in 1915 by the zoologist Yisrael Aharoni. While a common translation for porcupine in Arabic is kunfud (likely related to kipod), Aharoni chose a different Arabic word for porcupine to come up with his Hebrew version: derban. I was surprised to learn that the Arabic word is not actually cognate to the Hebrew דרבן dorban - meaning "spur" or "goad". However, Aharoni certainly was influenced by the spur-like quills on the porcupine when choosing that name. The Hebrew dorban (goad) has an Arabic cognate in the root drb meaning "to train", and as Klein points out we have a similar development within Hebrew where malmad מלמד - "goad" derives from למד - "to teach, learn". The Arabic word for porcupine, however, is related to ḍarb, meaning "a beating" (which is the origin of the English word "drub" - "to beat with a stick".) According to Stahl, it can express painful actions like shooting and stinging, so I suppose that is how it became associated with porcupines. Personally, I would imagine that "beating" and "goading" are very similar, and so the two Arabic roots might be connected. But Talshir and the Academy point out that the letter Arabic letter ḍ is cognate with the Hebrew tzade, not dalet, so I'll accept their authority. Talshir argues for a distinction between darban (porcupine) and dorban (goad). However, in a decision shortly after Talshir's article, the Academy of the Hebrew Language decided, based on popular usage, that דרבן dorban (with a kamatz katan) is the official word for porcupine.